With the leaves off the trees and the thermometer dropping to sub-freezing temperatures, I can now make this official "Dude" Pronouncement. (Clears throat) The garage sale season is now over! Yep, put a fork in it. Folks are now planning for the holidays, not hosting a garage sale. You won't see me shedding a tear though. For the next five months when the clock strikes O-seven-hundred, I won't be springing out of bed like a maniac. Nope, I'll be rolling over for a few more Zzzzzzs. That's one of the few things I enjoy about the weather turning colder! For me, the end of yard sale season is much like baseball or football season ending. It gives the player some much needed time off for the three R's...rest, relaxation and recovery. Otherwise, just like a highly trained athlete, a yard sale picker will burn out. If that happens, yard sale picking stops being fun and turns into drudgery. Who wants that? Not me! So for now, I am going to enjoy my time off on Saturday mornings. Keep it? Sorry kiddo, ain't gonna happen. deal hosted by two families. This last minute sale was a doozie and ended my season with a big bang! When I rolled up on the house, the sale didn't look like much. But as I started looking around, I came across some pretty great bargains. Things started off well right off the bat when I eyeballed a vintage NES Nintendo set in it's original box. The guy only charged me five bucks for it. I've scored a few of these Nintendo NES sets in the past and can usaully count on making some nice cash. Check out this set I flipped a few years ago for $50 bucks. Since then, prices have gone even higher. 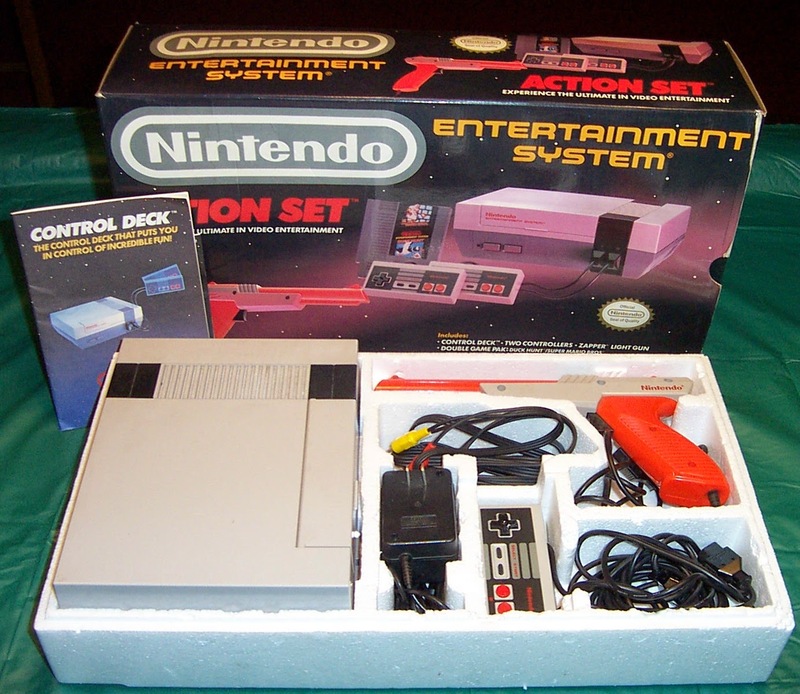 A recent Nintendo NES set sold for over hundred bills on eBay. I am guessing I'll sell my set for about the same. Not too shabby for a five dollar investment on a crisp Saturday morning in November. After I took it home, I stashed the Nintendo set in my garage. Not surprisingly, my Sonny Boy happened to be walking through the garage when his eyes locked in on the set. I knew this was trouble! Like most 18 year old "Pepsi Generation" kids, he then suggested I keep the set so he could have some fun with it. It's a good thing I wasn't sipping coffee at the moment he made this crazy remark, because I am pretty sure some would have come out my nose! I mean, Seriously? After all these years, he should know his old man a little better then that! As I once taught him many years ago, these "things" are just visiting our house. They stay a short time...then I find them a good home. (While getting paid for it.) But even though he should know my selling philosophy by now, I wasn't taking any chances. Just to be on the safe side, I hid the Nintendo set down in the basement...out of site...out of mind! The right sets will make you big cash money! In addition to the awesome Nintendo NES system, I snagged a few other items that will make me a some decent bucks. But the "piece de resistance" was a large Lego set I found. I laid eyes on it as the mom was walking it out of the garage. She set it down on a blanket in the yard, and following Lady Ga-Ga's advise about keeping a poker face, I casually walked over to it. The set was untouched and complete in the box. I was really hoping it was a Star Wars or Harry Potter set. Alas, it wasn't. Instead, it was a Lego commemorative anniversary set from about ten years ago. Not to brag, but when it comes to Harry Potter Lego sets, I've knocked it out of the ballpark several times! In fact, I've gone upper deck on some, selling a few for over $200 hundred bucks! While I had no idea what a commemorative set would be worth, I did know it's pretty hard to lose when flipping any Lego set in the original box. Boom....pop...kaboom...last score of the season! huge set back to the truckster. But the real fun began when I got home. I looked up my newly acquired Lego set on eBay and was met with a huge surprise. The special edition Lego set I scored for five, sells in the range of $350 to $500 dollars! How's that for ending the yard sale season? 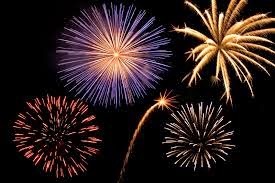 Sticking with my baseball analogies, it's sort of like a big, fantastic fireworks display after a long ballgame! Boom, Pop, kaboom! You gotta luv it! Even though it should turn into huge money, I haven't listed it on eBay yet. But I plan on doing so very soon, taking full advantage of the Christmas buying season. For now, it sits near my computer where I look over and admire it. Kind of like owning a winning lottery ticket that hasn't been cashed yet. When I do sell it, I'll be sure to feature it here on the blog. Yard sale season is still going strong here in Alabama. The only problem is that I don't have the time to go to as many as I would like these days. Just too busy with other stuff, so I mainly stay local to save time. Yesterday I scored two really nice Danish design bentwood stools for $5 each. If I were to buy two of them new, I'd have to spend fifty bucks. I'm keeping them for now. They're really nice. Great Lego score! I haven't found any big lots in a long time. Lorraine - I don't blame you for keeping them. Enjoy them for a while and as soon as you get bored with them...boom, sell them! That's the beauty of our "business" right? I can tell you're busy from reading your blog. Between the new house, the job and yard sales, you have a lot going on down there! House looks likes it's coming along great. I want to take whatever vitamins you take...Ha! Enjoy Thanksgiving and the Holidays...Dude! I have only seen Lego sets a few times in my many years of garage saling in the Twin Cities. When I do, they are pretty pricey. Great score! Isabella-Yes, they're not easy to find, especially at a good price. Last week, I spotted a complete Lego Pirates of the Caribbean set on my local Facebook yard sale group. They wanted ten bucks for it! It was snapped up in seconds-boy was I ever bummed out on missing that one...oh well! Grace-You're right, some sellers jack up their prices on the NES systems. And scoring NES systems are few and far between for me. I don't find them every year, that's for sure. The photo I posted above was from a sale probably a good 4 years ago. On letting the kids "test" stuff, my major problem is Sonny Boy will never put everything back the way I want it. Typical teenage boy that way I guess, But that's great that your 8 year old is careful with your stuff. That's a good kid! Those are a couple of amazing last day finds!! Alas the season has been over up here for a while because the weather has been terrible since about Labor Day! Oh well! Hope these make you some awesome Christmas cash-ola!! Samantha-Sorry to hear about your garage sale ruining weather. There's always Facebook and thrift shops, right? Ha! For sure, that Lego set will be a nice influx of moolah! For now, it's still sitting near my computer we're I can admire it. What a fabulous score Dude! I love the offer you gave. What's the worst that can happen, they counter? Good for you! Thanks Margaret-Good offer, right? Since she's was not coming up with anything, I had to get the ball rolling. Glad you enjoyed my latest caper. Who needs Walmart when you have a sure thing?